I also lead a panel discussion on Innovation in Libraries. It went really well … but no slides for that one. I recently discovered a cool tool for tracking Instagram analytics. It’s called StatShot. Signing up for StatShot is easy – just connect your Instagram account to it, and you’re done. It’s a freemium tool based on the number of Instgram followers you have. It’s free for up to 5000 followers. After that, it’s $5 a month for up to 10,000 followers, etc. If only we had that problem! They do this by sending regular emails with your Instagram stats. You can choose to get daily, weekly, or monthly emails. I set up theÂ library and my personal Instagram accounts with daily emails. Each of those stats provides yesterday’s numbers, compares it to the day before, and then shows an up/down percentage for each statistic. It’s pretty basic, but then again, it’s simple and it’s free (until we hit 5000 followers). I’m often asked “how often should we post to Facebook/Twitter/Instagram/etc. ?” I pretty much always say the same thing (I’ll give my response in a sec). I’m not certain that’s the best conclusion. It’s like doing research on how tall people are. You might find out that the average height of a male is 5’9″. Then, based on that average height, you’dÂ tell clothing companies to make pants to fit a 5’9″ man in order to sell the most pants. You see the problem, right (I certainly do, since I’d be wearing high water pants!)? Post more than you’re currently posting. For most libraries, this advice works great. Why? They don’t have a dedicated posting schedule, or posting goals. Or they post sporadically. Maybe no one posted last month. Sometimes I say post enough to look alive in that social media tool, so at least once per day. 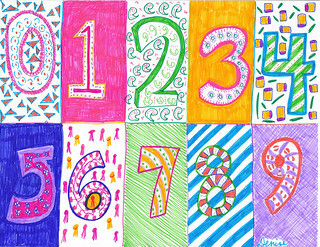 Figure out your organization’s optimal posting frequency. Start experimenting with posting more, then look at engagement rates, daily unlikes (on Facebook), etc. and adjust accordingly. Or, just ask your social media followers if they want more or less from you, then go with the flow. The real answer? It varies by organization and by social media tool. How often do you post? Is it enough? Please share! I just got back from a full week of learning and sharing at Computers in Libraries. Great conference, as usual! Chapter 1 – why use social media. Yes, you still need to explain this to people. Chapter 2 – the “landscape” of social media in libraries. 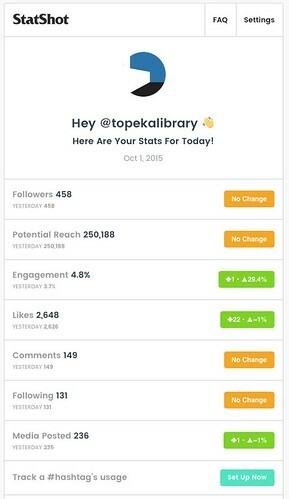 It outlines what social media tools are being used and why, with some examples of stellar social media use in libraries. Chapter 4 – Social media teams. How to manage the work of a social media team. What they should post, how they should post, and how to deal with problems. Chapter 5 – Analytics, Goals, and Strategy for Social Media. 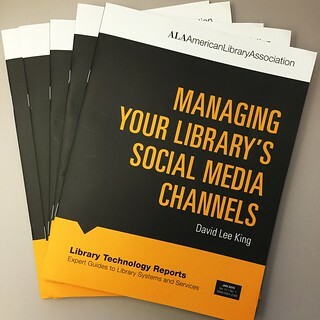 What to track and why, and how to connect social media to those large, multi-year library strategic plans. Chapter 6 – What to do from start to finish. Pretend there’s a new, hot social media tool that appears next week. This chapter provides an organizational approach to incorporating that new tool into your library’s workflow. There you have it! Get it at the ALA Store.